Ledaea perditalis - Hodges#8491 (Lost Owlet). The Lost Owlet is common in the South. It lives near the edges of wet woods and marshes. Its larvae feed on woolgrass and buttonbush. 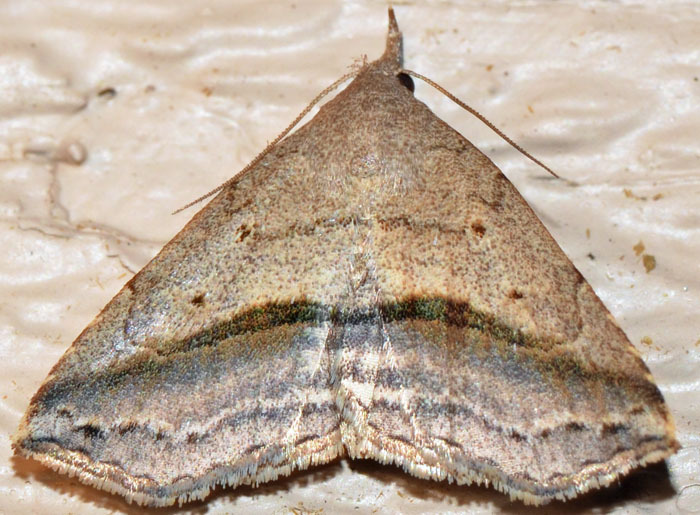 The grayish forewing has a curved, double line forming a solid black bar the inner margin. This moth was attracted to our outdoor lights.